squash streusel muffins | eating with S.O.L.E. Round 2 of using up that giant squash I roasted. These gluten free muffins were lovely and spicy. 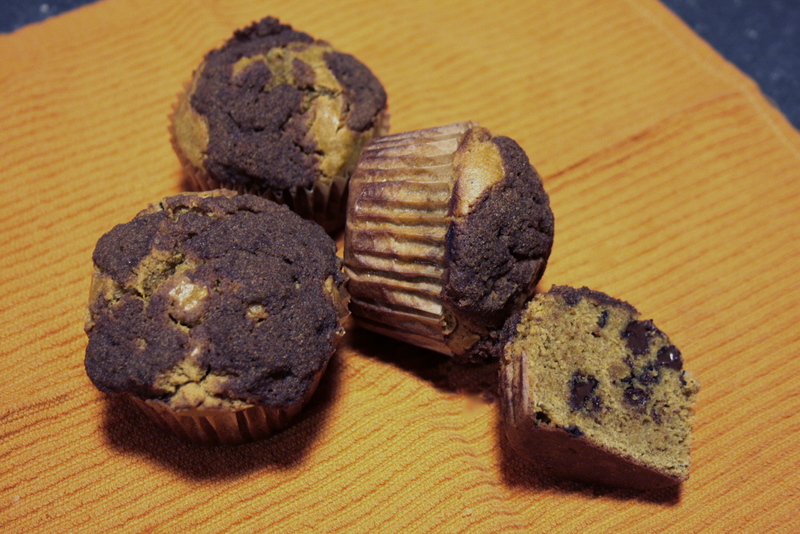 They baked up really nice with a perfectly risen muffin top. I made these dairy free and gluten free and the whole family loved them. Even my sweetie who hates pumpkin in anything but pie ate a number of these warm from the oven. I mashed together a couple different recipes to come up with these, and was thrilled with the results. I used chickpea flour and some gluten free four mix (Bob’s) along with freshly roasted winter squash, coconut oil and my daughter insisted we throw in chocolate chips. The streusel topping was the perfect finish to these lovely muffins. Bake at 350 for about 25 m or until the tops are starting to crack and feel firm + set, and a skewer comes out clean. Cool (just enough to get a bite in) and enjoy! A dollop of apple butter is the perfect addition to a muffin half!